What is Sudden Oak Death? Sudden Oak Death is the common name for a disease caused by Phytophthora ramorum, a non-native plant pathogen. P. ramorum is currently only known to occur in 14 counties in California, a small area in southwestern Oregon and several European countries. P. ramorum has killed hundreds of thousands of oak and tanoak trees in California, and has affected larch plantations in the UK. In Washington and Oregon, P. ramorum is found in mainly ornamental plant nurseries. P. ramorum has been present in Washington state since 2004, yet no forest outbreaks have occurred as they have in California, Oregon, and the UK. This may not be the case with the next invasive plant pathogen, therefore the use of Best Management Practices (BMPs) for growing clean plants is important for nurseries to adopt. On this website we provide general BMPs for Phytophthora that can be used on a variety of crops. 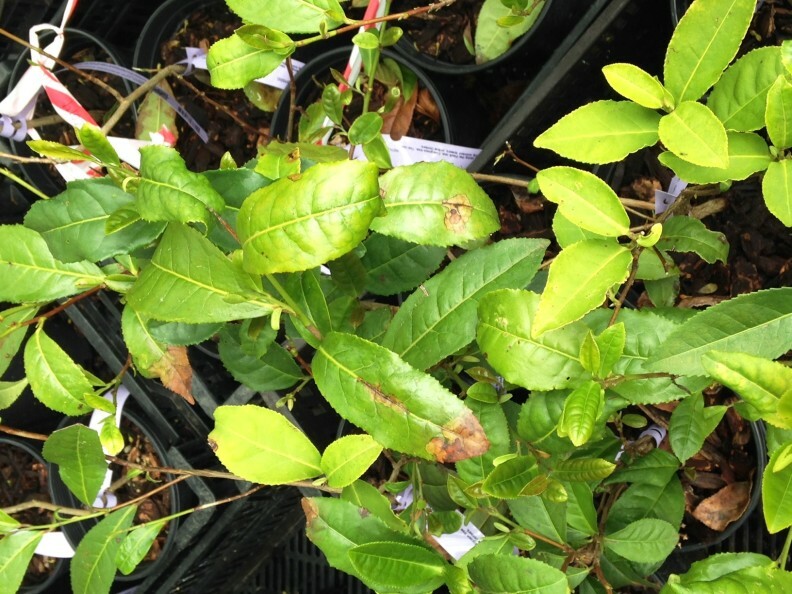 Other Phytophthora diseases, such as those that cause root disease, can be more damaging than P. ramorum on their hosts. Critical Control Point assessment for nurseries – find out where the problem areas are and fix them. Let us know if you see broken links or other problems.